It’s easy to see why residents love to call Wyndham Ridge home! 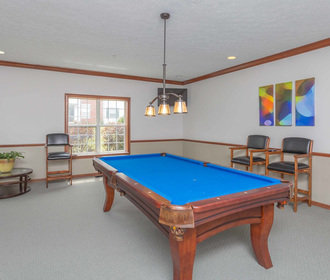 Conveniently located near shopping, dining and entertainment – this community offers so much close to home, including the Stow-Munroe Falls School district, rated “Excellent” by the State six years in a row. Whether you are biking on the nearby bike and hike trail, grabbing dinner at a local restaurant, or driving to catch a Cavs game – Wyndham Ridge has the perfect access to Rt. 8, I-77 and the turnpike. 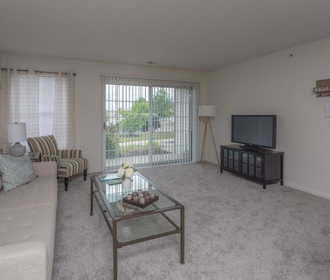 The generously sized 1 and 2 bedroom suites offer walk-in closets, in-suite washers and dryers, and some floor plans include a bonus room that you can make in to a den, media room or home office. Top level suites offer the added appeal of vaulted ceilings! Wyndham Ridge offers you everything you want in livability, convenience and location.